She Taught Me by Heart I Was Right! More and more I feel annoyed with EWG (Environmental Working Group) who sponsors and lobbying for the new “Safe Cosmetics Act 2011”. I have problems with their amazing way of making assessments of the dangers in our products as put in their “SkinDeep” data base. 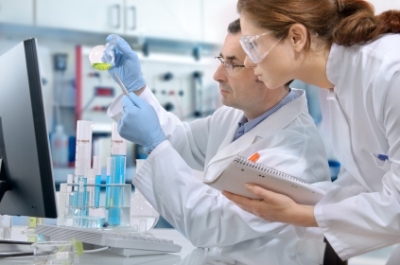 They do safety assessments of many cosmetic products and their ingredients including natural cosmetics as Paul Penders that contain herbs, plants, natural oils, etc. I agree with them when ingredients are called “certified organic” that they are not always natural. Many chemicals and synthetics are certified by Ecocert as organic. EWC thinks that “certified ingredients” are not always superior. I agree because for several cosmetic ingredients the benefits from naturally grown ingredients are preferred and even more stable. Well, that is according to many scientist and top cosmetic chemists who prefer at times natural ingredients above organic ingredients. This story is about the ignorance at times of EWG. 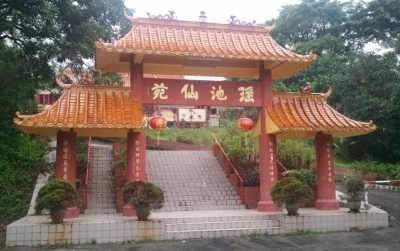 This came again to mind when I visited the Buddhist Temple just besides our new place in Penang (also called the holy island) where Paul Penders Co has its R&D based and beautifully located besides the ocean and foothills of a huge rainforest mountains. 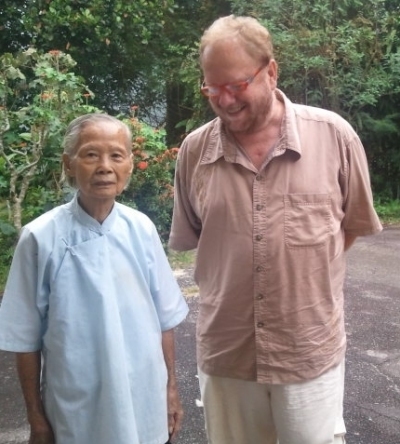 I had a freak accident about a year ago and through a friend of mine we visited the temple where a monk of age 93 provides natural health treatments for free, even vegetarian meals as well. 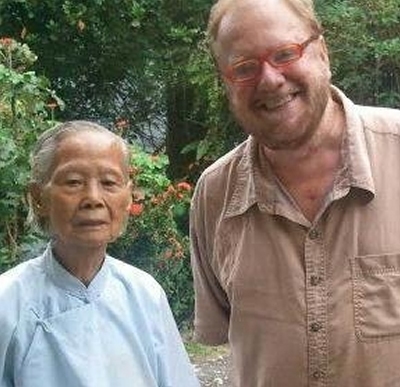 This beautiful woman lives a truly peaceful life and does lots of meditation. Meeting her brings right away a spontaneous feel of love and happiness. She was going to treat me with hot oil consisting of tar from pine trees and several herbs; all grown in the woods around the temple. The treatment is quite simple … for 6 times oil will be heated till a temperature as hot as one can cope to put your hands and feet into the oil mass until the mass cools down, then the mass will be heat up again and this “mantra” repeats itself for 6 times! The natural tar and herbs pulls out toxins from the body. It is really a vigorous treatment because during the process the body starts to sweat. When 6 treatments are finished you are totally wet and feel totally cleansed as well. I am going to get this treatment for few times while it is said also to be good for several other health problems including detoxification of kidneys and stomach, as well when someone has fever and also good for diabetics. This detoxification process and cleansing of the body is caused by the healing power of natural tar. When at age 25 I start to make my first shampoos with the help of my customers in my salons in The Netherlands, I also used pine tar. 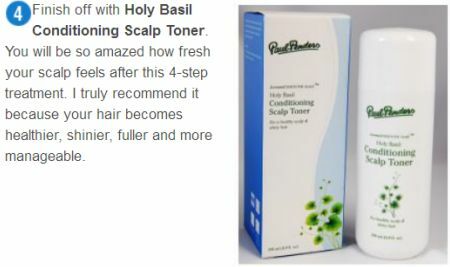 I used it to cleanse the scalp from dandruff, to detoxify and extract impurities in the skin. It always worked beautifully and my customers loved it. Then these stories did arrive that natural tar can cause cancer. Like many of these ghost stories and scare techniques used by some fanatic environmentalists including now EWG these days as well. Whether few natural ingredients have been used for centuries by many cultures and in many places of the world with great results is simply being ignored often because certain benefits could not been explained by scientists of today. Therefore it is suddenly no good anymore – ergo – we could get very sick of it! 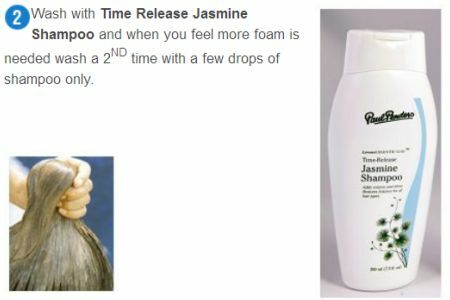 So already many years ago I was forced to change my shampoo formula because of these scare techniques. I needed to tell my customers using “Paul Penders Peppermint Shampoo” for many years and with excellent results for dandruff and oily hair that –according to new research- were suddenly risk! Honestly speaking, I never had found something that good to replace the natural pine tar for dandruff and now we use natural pegaga herbs found also on Langkawi with excellent results as well. Still I miss my old Peppermint Shampoo formula!!! I felt amazed when I saw the monk heating my medicine! A natural complex of pine tar and herbs? She told me how many people have come to her receiving outstanding health results. But I am sure when the scientists of EWG would come by to rate this natural paradise in Penang island, they would try to stop the use of these natural healing treatment. They would declare that people could get cancer or other terrible diseases simply because they can’t explain how nature does its amazing work. In fact, few Paul Penders products have been rated unsafe by EWG because using few natural herbs (for almost 40 years) already described by my grandmother some 100 years ago and supported by my friends Dr. Eeftink and Dr. Steyn (who were famous natural health doctors in The Netherlands). Now EWG makes assessments that these products can cause diseases and that is pure nonsense proving my case of them being ignorant. Being in the Temple today with this beautiful, very kindhearted, loving and spirited Monk made me actually feel proud. She gave me that unshakable belief and confidence that I always have been right about my first shampoo with natural pine tar developed so many years back.Should I start producing it again? Maybe. And whatever EWG will say about my Peppermint Shampoo I don’t care anymore. I will no longer feel confused thanks to this wonderful woman who taught me a piece of true wisdom. 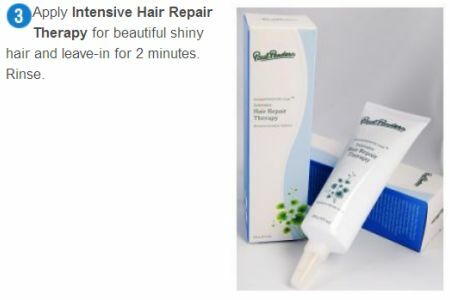 …there are two ways of using Paul Penders Rescue Blemish Away? It can be used as it is in its powder form. Use it as normal powder and just dot it on the affected area. Or the powder can be mixed with drops of toner and simply dotted on the affected area at bedtime. 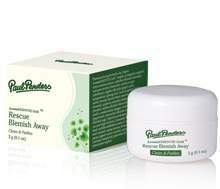 Rescue Blemish Away from Paul Penders is the ideal “emergency” treatment to quickly heal and clear blemishes. Treat the affected skin area at bedtime, and by morning wake up to clear and radiant skin. Rescue Blemish Away helps to correct breakouts and minimizes the appearance of minor imperfections, as well as it restores balance to blemished skin. A perfect skin remedy which should always be at hand. Made from pure, natural ingredients – naturally! America Back in the BUSINESS of Animal Tests? From the great people of “Personal Care – Truth or Scare” in California I received message that “The Coalition for Consumer Information on Cosmetics” (CCIC) who runs “The Leaping Bunny Program” has the same concerns about the newly proposed “Safe Cosmetics Act of 2011” as they had before with the “Safe Cosmetics Act of 2010” that was rightfully rejected in Colorado and by U.S. Congress. The new proposed Safe Cosmetics Act 2011 will overhaul the way cosmetic products are regulated in the United States. While the purpose of this legislation is good to ensure that cosmetic products are safe, it will have disastrous consequences for laboratory animals. Innocent creatures used to undergo cruel test for cosmetic products and their ingredients. Although this newly proposed Act endorses the development of non-animal testing methods, there is little doubt that animal testing will be required by this bill! It will result in a substantial increase of animal tests! Here is my vision on this bad news. 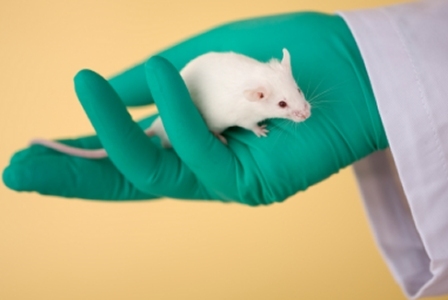 CCIC hopes that changing the cosmetic regulations can be done without animal tests. They believe that harmonize U.S. law with the European Union would be the best and I totally agree! In Europe they make safe cosmetics but also prohibit the use of animal tests for cosmetics! So in America we are going to re-invent the wheel. Why not totally disregard what scientists already know in Europe for many years? Or are the cosmetic products made by L’Oreal and Chanel regarded as unsafe in America? Most of this incredible stuff right now just starts here. To me, for the last 10 years, few things seem to go little but awkward in my own country. Maybe Americans have become little bit isolated compared to modern developments in the rest of the world? For example, here in the US we have the Environmental Working Group (EWG) that consists of no cosmetic chemists and they seem to act totally confused. What disturbs me most is that our company in the past helping to establish a law in The Netherlands to prohibit animal tests for cosmetics already 25 years ago! The Netherlands was actually the first country in the world to make it ILLEGAL to do animal tests for cosmetics and its ingredients…. and now after all this time, the US wants to start doing it all over again?! How many of us Americans feel lost in a society run by legislators and lobbyiests? Also lawyers who make money in any way they can? Does neglecting all they learned in Europe bring us to more safe cosmetics and closer to nature? The EWG makes it sound like using a simple herb used for centuries with great results, now suddenly can cause death, or risk getting terrible diseases like cancer and more? New “arm-chair scientists” coming along making things bad that later need to be fix that didn’t need to be fixed in the first place. Here is the business part that comes in. Because for centuries people in Europe use simple herbs for improvement of their health and cosmetic purposes. Now EWG and their “scientists” claim we are at risk from these same herbs. Of course, these scientists do not understand the miracles of how nature works… therefore it is suddenly no good anymore. How arrogant can we be? But maybe there is more to it? Maybe it is just pure business. Because who pays for all this nonsense? With all we do we are missing the boat. I think we are little bit lost as a Nation. Most people in the world believe animal tests for cosmetics is terrible. Useless and some find it even a crime. In Europe they stopped doing it a decade ago. In name of innocent animals, please stop the stupidity; the ignorance! Please let’s start to educate ourselves. When one buy a cosmetic product look for the track record of a company. Also be aware that “the new kid on the block” is not always the best but some tell great stories. Please be not confused like many of us. Do not support EWG. They are simply not qualified to make their strange assumptions. Let me share my professional secret for beautiful hair. Katja Penders…. : “Our family’s tradition and experience in cosmetology goes back for over 100 years in Europe, USA and now in Asia. I have seen hundreds of examples of how to obtain beautiful hair. But I also learned that the secret to having beautiful hair starts by maintaining a healthy scalp. When the scalp is too dry, too oily or plagued with dandruff, healthy hair won’t happen unless we incorporate a “scalp-care” treatment into your hair-care regime. Over the years we developed a 4-STEP Hair & Scalp Treatment program where the very first important step is to cleanse the scalp. 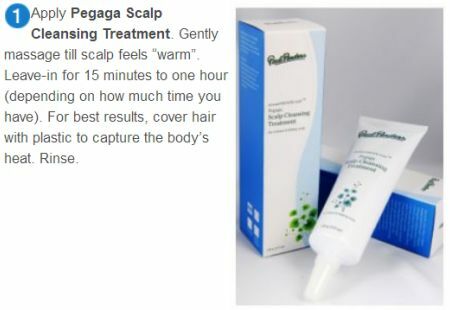 Paul Penders hair care range contains a wonderful and unique product called Pegaga Scalp Cleansing Treatment. Pegaga is a powerful Malaysian herb that grows wild in this great tropical Langkawi GEOPARK rainforest island. It is used for centuries by local people for cleansing the body and beauty treatments. It is a powerful herb that deeply cleanses impurities from the scalp while at the same time takes care of dandruff problems. One full treatment is described below which should be done twice a week until enough improvement is made. Later on it can be used as a healthy and relaxing total hair and scalp maintenance treatment every 2 weeks, or once a month. 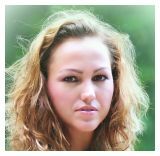 I know several people who started using the treatments and the result is more beautiful, healthy, shiny, and fuller hair. … your body has about 60 trillion cells in it? Every moment of every day, thousands of different chemical reactions are happening inside each cell. To make each one of those reactions happen, your body makes a specific enzyme just for that particular purpose and no other. When the reaction is over, still other enzymes break down the specific enzyme and recycle it. To make all those enzymes and keep your body running smoothly, you need plenty of vitamins, minerals and trace minerals. So, from the beginning we are all given this perfect system, and as long as we keep maintaining it with the right nutrition, exercise etc. our body just works. Why would anyone try to sabotage this perfectly working system? Actually, many of us happily do it every day by choosing a personal health care product containing chemicals and artificial ingredients; stuff our body has absolutely no need for. In other words: do yourself and your body a favor and choose a natural personal health care product next time you go shopping.